Vodafone is one of the "big 4" mobile networks in the UK and has its own range of exclusive handsets and products. 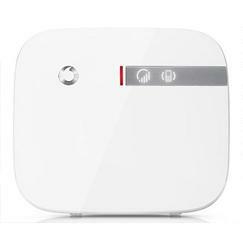 The Vodafone Sure Signal connects to a fixed broadband line in your home or office and provides a reliable Vodafone 3G voice and data connection. A must-have gadget for everyone working from home. Vodafone Smart 2 review - Smartphones don't come much cheaper than the Vodafone Smart II, yet it still manages to deliver all the smartphone essentials, and feels more expensive than it is. It's a good introduction to Android if you're looking for a real bargain. Vodafone Smart 3 review - The Vodafone Smart III is an excellent choice if you're looking for a bargain smartphone on Pay as You Go. 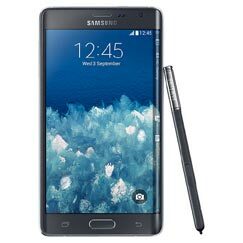 Top features include the large screen, fast processor, adequate memory and good battery life. Vodafone Smart Mini review - The Vodafone Smart Mini is a supercheap Android smartphone that over-delivers on value by the bucketload. Vodafone Smart Prime 6 review - Vodafone's Smart Prime 6 smartphone costs less than �100 on PAYG and is a good buy for that price. It has smart looks, a high-quality 5-inch screen, a decent camera and battery life, and is fitted with a larger-than-average battery. It suffers from the same lack of processing power and memory as all other entry-level smartphones, but for the price we can't complain. Vodafone Smart Ultra 6 review - Vodafone has a long history of producing its own-brand phones that don't cost much but give a lot, and the Smart Ultra 6 takes this to the next level. With a 5.5 inch 1080p display, 8-core processor, good camera and massive battery, this phone doesn't have any weaknesses. It hugely over-delivers for the price.